Hey, hey we’re the Brutes! – Brian Beatty: Writer. Jokester. Bearder. Hey, hey we’re the Brutes! Joshua Wenck used to be a member of the traditional roots music duo The Get Up Johns. Now he’s making music as Evangelista. Paul Metzger leads the powerhouse avant-prog rock trio TVBC. 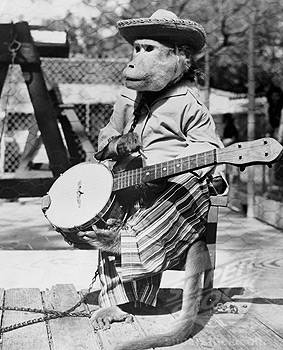 He’s also acclaimed for improvising on guitar and modified banjo. Brian Beatty used to write “Jokes by Brian Beatty” for McSweeney’s and METRO and perform for comedy fans. Expect that, plus ditties. ← Words, words, words, words, words.